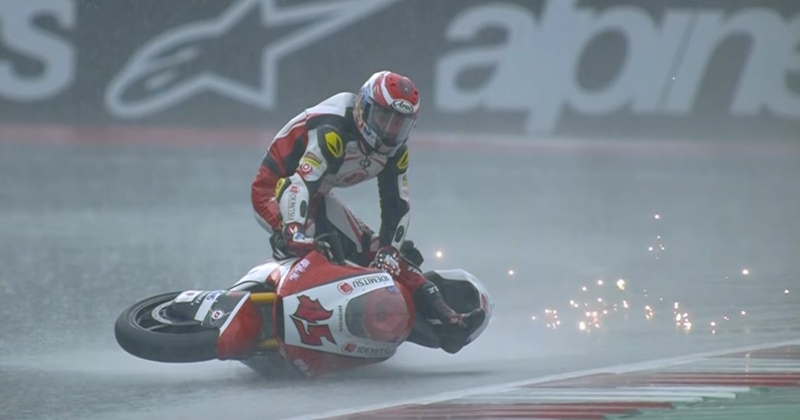 During a crash, riders will often continue to hold on to their bike in the hope of being able to recover quickly once the accident has finished happening. That’s what Nagashima was trying to do in practice at the Red Bull Ring, with the whole thing brilliantly caught in slow motion. You can see so much - from the bike flexing over the kerbs to the sparks flying up, and even the tags on his leathers gracefully flapping in the breeze. It’s just so… beautiful.